“Have a soul lift, not a face lift” this is the motto Shabanaa Sharma believes in. A unnamed astrologer and tarot reader, Shabanaa has mastered the out of using Switchwords along with meditation hypnotherapy and reiki healing adding to this bouquet of outstanding abilities, she is an expert in numerology, astrology, vastu and candle magic. Shabanaa has always been interested in revelling the unknown world and through that being clarity and hope among people her calm, positive get energetic aura has attracted many people towards her and because of this her clients have always been happy and satisfied. Her aim of bringing the cosmic world closer to humans is purely out of a soul connection she feels with people around her. She believes that empathy is most important and that her words and charms are from the energy is the significator and benefactor. ​Shabanaa believes in change with times to maintain the soul connection and so she employs a modern approach. Music has been a guiding factor in her life for the longest time & through her creative methods, she harness the power of the rhythm along with her calm and cool persona to make her clients feel Rejuvenated. She believes in the energy of music and stands by the powerful combination of music and candle magic for holistic therapy and growth of her clients. She has been initiated to various TV channels for their Astro Programs like (Ishwar TV, Zee Sangam and India News). She was also invited to predict the 2015 World Cup by fever 104.8FM where she accurately predicted India’s fate in the semi-final. 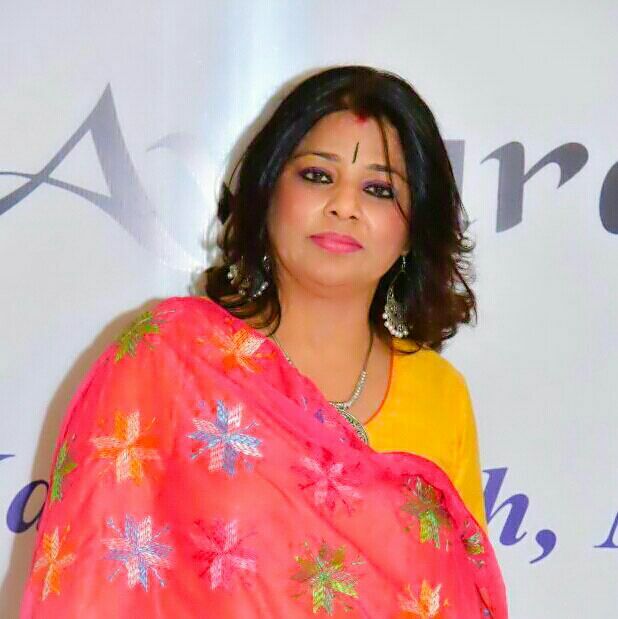 She is a recipient of multiple awards for her talent like the Tatvan Award, Bharat Nirman for Past Life Regression and Clinical Hypnotherapy and Bharat Nirman for Tarot. ​Shabana’s exuberant personality along with her tranquilising attitude has the ability to heal and individual and truly give them a soul lift. The Tarot is a way of developing our intuitive skills so that we can draw on them when we need either insight or guidance. When we consult the tarot, we attempting to better comprehend both, ourselves and the forces that are at work within our psyches and in our lives. Tarot is used as a means of understanding ourselves better and gleaming insights into the future. It offers us a form of guidance. It can also help us to identify any obstacle. It is a way to get direct and concrete answers to your questions. It is a mystical way through which psychic powers of a Tarot Reader are awakened which gives the answers as well as solution to the problems. It works as an ice – breaker. There are 78 cards. Major Arcana and Minor Arcana are enough to reveal the hidden facts. Astrology is a scientific study and application of the language of the heavenly bodies. These heavenly bodies, determined on the basis of astronomy and mathematics are mapped in the form of horoscope. Infinite possibilities are created by placements of planets in a zodiac system in a house. Dr. Mikao Usui, our revered master and founder of Reiki introduced the healing art to the world. Reiki uses the body’s inherent energy. The “Ki”, to heal various problems and restore its natural state of peace and existential tranquility within. Any age group can practice Reiki. It helps healing old wounds, gaining insight into past lives and understanding the nature of our existence. An “Angel” in our terms is a celestial (non-physical) being who is an ego – less messenger of God. In fact, the word angel derives from the Greek and translate to the phrase “Messenger of God”. Angels are the delivers of heaven’s love and guidance.